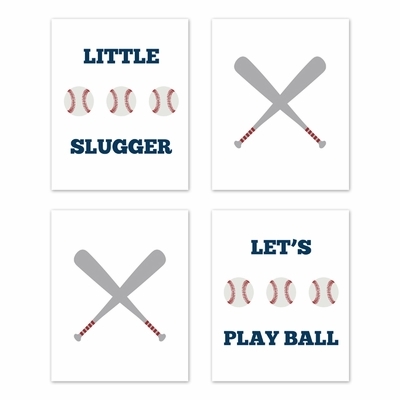 Four Piece Art Print Sets by Sweet Jojo Designs are the perfect inspirational wall decor to add a unique and stylish design to your nursery, playroom, or bedroom. Each piece features exclusive designs and art work, printed on high quality premium matte heavyweight paper with fade resistant ink. These art sets add a wonderful decorative touch to your walls until you can fill them with your child's own masterpieces. Frames and mats not included. 4 pc. Art Print Set - Each individual print measures 8in. x 10in. 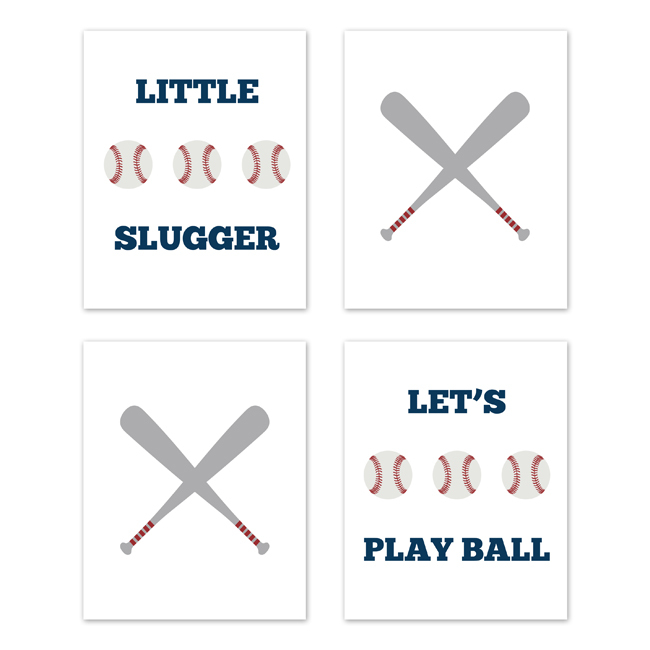 Decorative wall art print set features baseballs and bats with inspirational "Little Slugger" and "Let's Play Ball" quotes.